It’s hard to believe we have been working together and have developed a friendship for over 25 years! In all that time, I know I have thanked you and expressed my appreciation for your help, hard work, and excellent taste, but I have never taken the opportunity to actually write my thanks in a letter. I can only say that every one of the over 30 rugs of varying sizes in over 4 homes that I have purchased from you have brought, and continue bring me, pleasure every day! 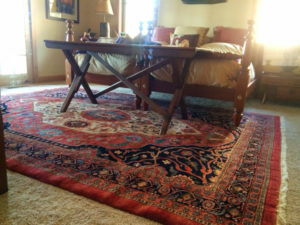 As you know, my grandparents, my parents, and now my kids, as well as I, have loved Persian and Oriental rugs. In all the years we have enjoyed living with these beautiful works of art I have never known anyone like you who not only has a wonderful eye for rugs of all types but also has the unique ability to pair the right rugs with the right people in a complementary fashion for the homes and environs in which we live. Please accept my very sincere appreciation and thanks for our friendship and, especially, for your always going the extra mile, both literally and figuratively!, to make my aesthetic environment just perfect. Also, please know that I and many others truly appreciate, as well, your tremendous contributions to the community and the many charitable organizations which you have supported. 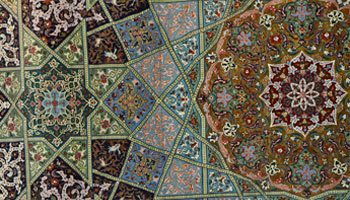 Mansour’s rugs are works of art! His discriminating taste and judgement can improve the look and feel of any home decor. He is trustworthy and willing to allow potential customers to try his rugs before purchasing. I wholeheartely recommend Mansour. We are writing to express our appreciation for the pleasure of working with you and your excellent staff for the past seven years in the acquisition of our beautiful oriental rugs. Because of you we have developed a deep appreciation of the artistry, quality and craftsmanship associated with each or our beautiful rugs. You have provided us with outstanding customer services treating us as partners in this process rather than simply as customers or clients. Your knowledge, enthusiasm and passion for your work have served to educate us regarding how to incorporate these works of art into our home. Your staff is courteous, responsive, friendly and well informed mirroring your own high professional standards for relating with clients. Your business practices reflect your acumen, honesty, fairness and integrity. Finally, we value working with a business that is a contributing member of the community. We admire your support for charitable and community causes and respect for the public that you serve. We would like to take this opportunity to thank Mansour at Mansour’s Oriental Rug Gallery for his help in making our house our home. We have known and done business with Mansour for over 20 years. 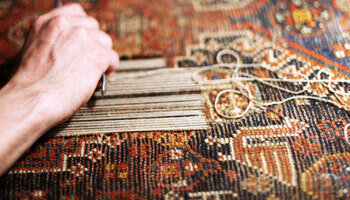 As our needs have changed, Mansour has always been able to recommend the perfect rugs for our home. Without a doubt, Mansour’s Oriental Rug Gallery has the most extensive and beautiful selection of high quality rugs in the Sacramento Valley. 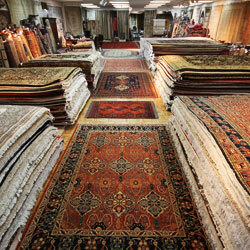 Many times over the years, we have started and ended our search for the perfect rug at Mansour’s. In addition to the quality products, Mansour’s has amazing customer service. Mansour has the amazing ability to quickly perceive your taste and needs and can recommend solutions in a manner of minutes. 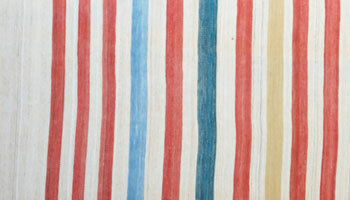 He and his staff are willing to bring rugs to your home to allow you to make the perfect selection. We look forward to having a continuing relationship with Mansour over the coming years. Without a doubt, our needs and desires for rugs will change again and we look forward to working with Mansour in the future. In any of our travels we have not found such an extensive number of high quality Oriental rugs as one can find at Mansour’s Oriental Rug Gallery. And in this kaleidoscope of rugs, his ability to find that perfect fit for your room is amazing, as is his ability to recall those rugs years later. He provides excellent service, coming to your home as a specialized type of interior decorator. Over many years we have had nothing but pleasant dealings with Mansour. We have for over thirty years been the beneficiaries of Mansour’s exquisite taste and remarkable instincts for which pieces are precisely correct (and which are not) in a particular location. These unique gifts are compounded by his always gracious manner and sense of humor. We have been Mansour’s customers for over fifteen years, an enormously fabulous experience. Mansour. however, is not just a rug and carpet merchant. He provides much more: beauty and joy; fun and delight; exquisite artistry, and unequaled customer service. Mansour has the unique ability to make houses into homes. His knowledge of oriental rugs has no rival in California and his eye for exquisite design knows no equal anyplace. On top of all that, he and his staff are nice people! We take immense delight in doing business with this remarkably gifted man and enthusiastically recommend Mansour and his talented staff to all in search of carpet quality, artistic creativity, competent advice, customer care, and refreshing convenience. 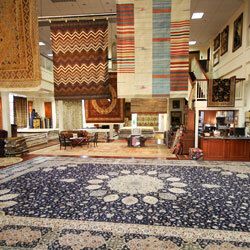 We love Mansour’s Oriental Rug Gallery!